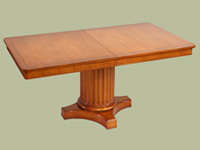 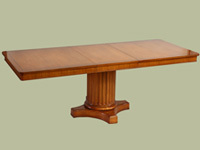 We Fabricated this custom Regency Style Dining Table for a fine San Francisco Residence. 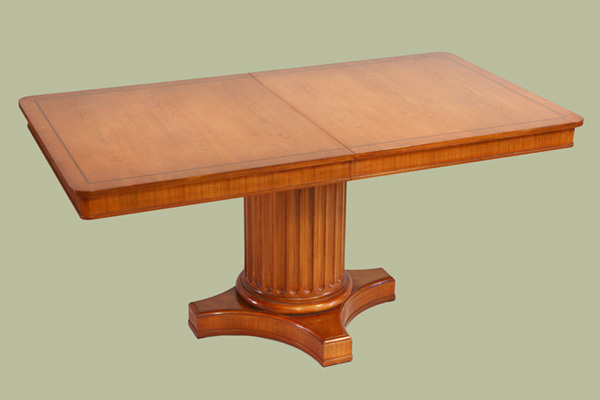 This Table was fabricated of matched Plain Sliced Walnut Veneers with Ebony Inlay and solid Walnut wood for the trim and Fluted Column Pedistal base. 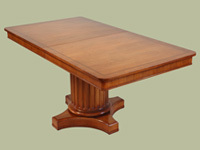 The Table has one 24” wide leaf and was finished in a lightly distressed and stained finish with a hand rubbed final polish.